The following authentic anecdote shews the simplicity of the bucolic mind in Nottinghamshire in the days of George III. Anne White's nephew, Sir Thomas White (the first baronet), once sent her a very fine cow. The animal was driven from Wallingwells to her house in Richmond by one of the countrymen of the estate. When he was crossing the old bridge at Kew, George III. drove by, and the wayfarers raised a cry of "the king." The peasant retreated into one of those recesses which jutted out over the piers of the bridge, and seizing the cow's head, turned her so that she faced his majesty, exclaiming in all seriousness, "Look thee, my lass, look thee, thee shalt see the king." In Taylor White's will, 29th March, 1771, occurs the following passage of advice, which might with profit be followed in the present day. "I would have my daughter educate her children so that they be possessed of Ingenuity and Industry and not be obliged to seek for Amusement, or to waste hours in idleness at Home, and, which is much worse, in reading foolish Novells, which tend only to disturb the Passions and corrupt the Heart. But a portion of each day ought to be spent in reading such religious and moral treatises as will teach them an early Sense of their Duty and a proper understanding of Human Nature. And for which purpose I will, if God Permit, leave her a proper collection of Books." Taylor White, son of the above, succeeded his father in 1772. 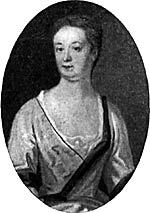 In 1765 he had married the beautiful Sarah Woollaston, co-heiress of Sir Isaac Woollaston, Bart., of Lowesby. At the time of writing this paper there may be seen in Mr. Hayman's galleries, in New Bond Street, portraits of Taylor White and his wife, by Gainsborough, size 50in. x 40in., for which Mr. Hayman asks 4,000 guineas as fine specimens of this painter's art. 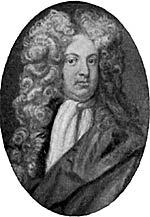 Thomas White of Tuxford and Wallingwells MP. 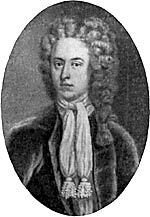 1667-1732 John White of Tuxford and Wallingwells MP. 1699-1769. Elizabeth Anne White. 1775-1837. His son, Sir Thomas, the first baronet, was lieutenant in the 4th Light Dragoons till his succession in 1805. He was fond of hunting and other athletic sports, kept hounds, and was one of the last gentlemen in England who had a large hawking establishment. Some descendants of his German falconer, Bekkar, were still living in Carlton-in-Lindrick in 1886. Meets of his hawks were arranged for each day of the week; his stable, falconers, etc., were maintained on a large scale, and his house was renowned for its open hospitality. I have already alluded to the regiment he twice raised, armed, clothed, and housed. A platform was erected in an oak tree in the park, on it a sentry kept watch day and night for the lighting of the beacon on Gringley Hill, near Gainsborough, the arranged signal of the landing of the French. The government decided to test the popular feeling, and caused several beacons to be fired, amongst which was the Gringley one. The alarm soon spread. Sir Thomas's men assembled at Wallingwells, and were marched to Doncaster, the appointed place of rendezvous. Here they learnt the French had not landed, and after Sir Thomas had treated them to breakfast, and given them a guinea apiece, he dismissed them to their homes. It has been said that "the jesting toys and diversions of one man sometimes make or mar the life and fortune of another," and so it proved with the sport of hawking. Sir Thomas's son and heir, when a boy of fourteen, accompanied his parents to Scarborough, and while there, his father and some friends went one day in a boat towards Filey, to shoot sea-gulls under the cliffs. The boy determined to go along the sands and join them, intending to return with them in the boat, as he knew that the tide was coming in, and that it would be impossible to scale the cliffs, or return by the shore, which is entirely covered at high water. He had, attached to his wrist, a trained hawk, which was a special favourite, and which he almost always carried with him. Shortly before he arrived at the place where they were shooting, a sea-fog came on. He heard the reports of their guns, but could not see the sportsmen. As they did not expect any one, they paid no attention to his shouts, though they heard them, but sailed back to Scarborough. He turned, and tried to make his way home, but on coming to a projecting point, found himself cut off by the tide, which had now risen. On trying to spring from rock to rock he was swept off by it, just as it was on the turn. Being unable to swim, he sank twice, and floating seemed his only chance of escape. Throwing himself flat on his back, he floated, and raised his hand with a view of saving his hawk. The tide was carrying him out to sea, when the bird flew for the shore, and towed him in, and he had only strength enough to scramble on to a rock which was partly above water, and to which he clung. In the meantime, his father, on return, was told his son had gone to meet him, and realizing the danger, sent people along the tops of the cliffs to search for him. After some lapse of time, he was found and rescued. When he was brought into Scarborough, the blinds of the house were drawn, all hope of his safety having been abandoned. He afterwards succeeded as second baronet, and died 1882, aged 80. He re-built Letwell Church. Stephen White, of Wallingwells (the writer's greatgrandfather), married Elizabeth Anne, one of the Sellons, a family originally of Nimes, France. At the revocation of the Edict of Nantes, in 1685, one brother went to England, and another to Switzerland. The latter was the ancestor of Comte de Sellon, of Chateau d'Allaman, Geneva, whose sister married Count Cavour, the statesman. Stephen White's eldest daughter, Elizabeth Anne, possessed unusual courage. When living alone at Castor, Northants., after her father's death in 1824, she was one night awakened by the stealthy entrance of her manservant, carrying a knife and lighted candle. He approached her, and to discover if she slept, passed the candle several times close to her eyes. She remained immoveable and still. Satisfied, he took several pieces of jewellery and other valuables, and then, after another examination, and holding his knife prepared to strike, quitted the room. She rose and locked the door. She heard him presently return and try to open it. Finding it locked he quietly retired. Next day she desired him to yield up what he had taken, which he did, confessing he had designed murder had she woke, and then to flee. She took from him the knife, a large one, which he owned to have had in readiness for some time. She said no more, but suffered him to remain in her service the rest of her life. The old Tuxford manor house, next the church, was used as a dower house until it fell into decay. The property of Tuxford was sold about 1820, by the trustees of the first baronet, to the Duke of Newcastle, for £65,000, and East Markham for £25,000. But Tuxford continues to be the family burial place, in the mortuary chapel containing the alabaster tomb. In the beginning of this century, a small new building, now known as the hall, was erected on the site of the old manor house. The manor house of Cotgrave has also been demolished, and at the restoration of the church the old monumental slabs were destroyed. About 1828 the second baronet made great alterations in the house of Wallingwells, filling up the moat, removing the interior courtyard, changing the principal entrance, and reducing the building in size, but several of the original walls of the nunnery, of great thickness, remain, incorporated in the present mansion. In the charter chests is a wealth of material relating to Wallingwells house and park. It was a nunnery from 1130 to 1540. A word in conclusion, as to the sources of this account. The late Sir Thomas White, my cousin, placed all his papers, old and modern (some twenty-two chests), at mydisposal, and having learned the deciphering of ancient MSS. from an expert of the Bar, I was able to make full use of them. From them, together with such indispensable records of old families as Heralds' Visitations, Inqusitiones post mortem, etc., I compiled a book of Memoirs. Our lamented Vice-President, the late Earl of Liverpool, casually read that book, and was kind enough to praise it highly and unreservedly, and to suggest that I should join the Thoroton Society, which so happily unites all who take pleasure in preserving the history and the past of Notts.